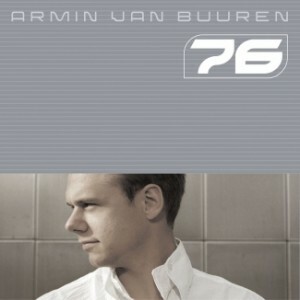 Armin van Buuren: “This album contains 76 minutes of audio for your listening pleasure. Enjoy!” It was 2003 when those 76 minutes, divided into 13 tracks, caused a quick rise in popularity for this DJ/producer from Leiden. Not knowing that with this album, he released some legendary future trance classics and a stepping stone towards a dance music addiction for thousands, if not millions of EDM minded people around the world. The ‘76′ album was there in a time that trance was at its peak. Armin had just scored a big hit with ‘Blue Fear’ and ‘Burned With Desire’, and was establishing himself as an internationally renowned DJ and Producer. But above all, he was a speaking voice of trance, in all its form. ‘76′, though versatile in its sound, with collaborations with the likes of Ray Wilson, Krezip, Ferry Corsten, Justine Suissa and Airwave, Armin kept his first artist album close to his one big love: trance music.